A family that sticks together, stays together. 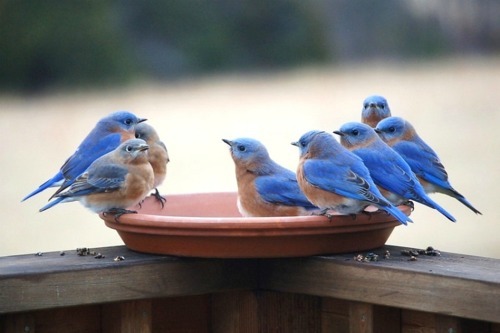 The more I learn about Bluebirds the more they fascinate me. I think is something about their temperament that makes me like them so much. 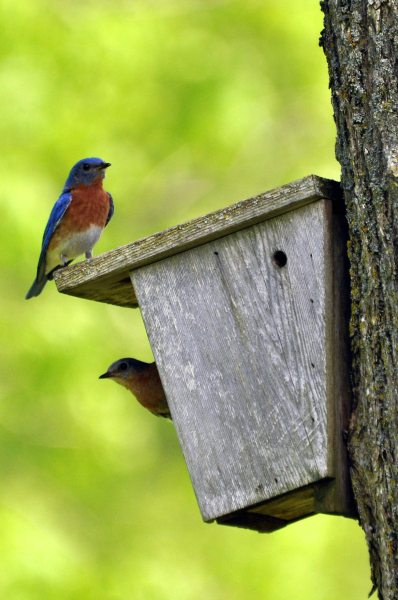 Did you know Bluebirds are known to be quite devoted to their young? Eastern Bluebirds lay a clutch of four to five eggs brooded by the female only for 12 to 14 days. After hatching, the young are cared for by both parents. 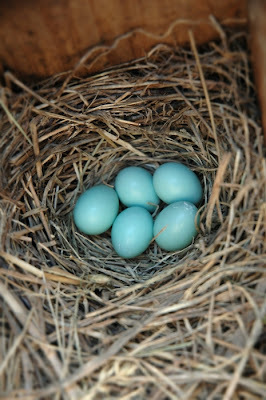 After the young leave the nest, they remain as a family and frequently travel within the nearby territory for a few days. After the mated pair begin their second brood, the fledged young remain nearby and help the parents take care of the new brood. 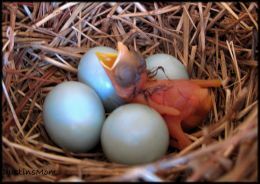 There are times when either the first or second nesting is seriously disturbed and, when that happens, bluebirds will occasionally raise a third brood in one season. These little fellas have strong sense of family. Who knew?